Digging out from under the holidays. Taking a pregnant friend out snowshoeing. 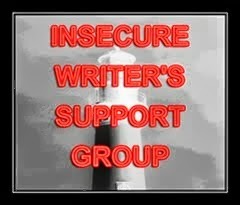 So here's a confession for my first IWSG post: I've wanted to join for quite a while, but never could quite make the commitment. You could say, 'well it's just the first Wednesday of each month - what's the big deal?' but here's the thing: I think it's like taking the first step in AA - you have to admit you have a problem before you can start getting better. So here I go: My name is AJ and I have a writing addiction. No, not an addiction, and as previously mentioned, not a habit either. I have a .. thing. I have a thing about writing. I love it and always have. I've gone through phases of calling myself a writer, and not calling myself one. But I suppose that since I've got a book published and another one in the works, I have to admit that I am a writer and own it too! So this is me owning it, and waving hello to the other IWSG folks. I am looking forward to meeting all of you! Well, it's official! I'm going to be one of the cohosts for the illustrious April A-Z Challenge this year! I had a ball being one of Tina's helper Minions for the Challenge last year and am so honored that they offered me a spot on the cohosting team for this spring's event. April is always a crazy month for me, what with being the month before my Summer work-craziness starts, and it won't be any different this year, but I'm excited about the additional responsibilities and the opportunity to be on such a great team. Also, one of my goals for this spring is to get out there and do more networking to support my writing habit - what better way than by being heavily involved with the biggest blog hop in the 'verse? Check out the other members of the super-awesome A-Z Cohost team!